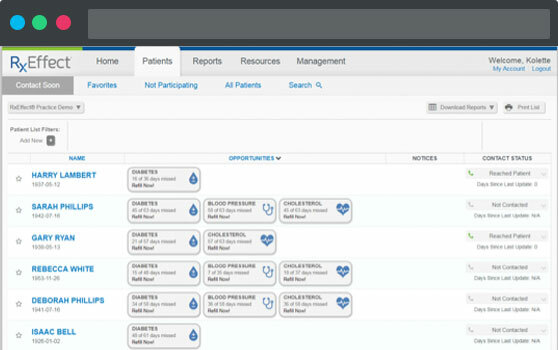 Drive adherence and close the gap between provider and patient with our innovative workflow solution. Prescription medications are only useful when patients take them. With RxAnte, understand how patients are using their medication, and target those most in need of intervention. RxAnte helps providers to better understand their patients’ medication adherence habits with RxEffect—an innovative platform that helps to guide users’ workflow by prioritizing members for outreach on a regular basis and documenting their medication use. 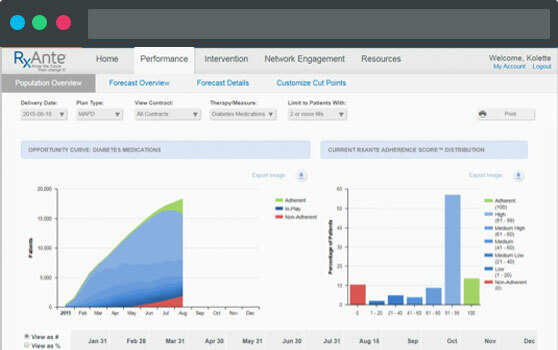 RxEffect is additionally purpose-built to identify specific opportunities for adherence improvement among patients, helping to achieve better care. improvement in adherence has been experienced among patients reached via clients using RxEffect, versus 1-2% outside of the platform. 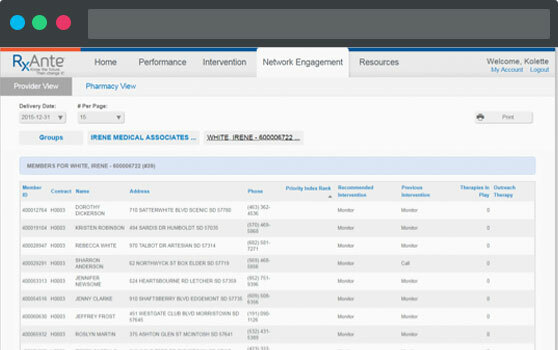 View summary-level plan and contract adherence performance, including distribution of membership with the Opportunity Curve in the RxAnte Client Portal. 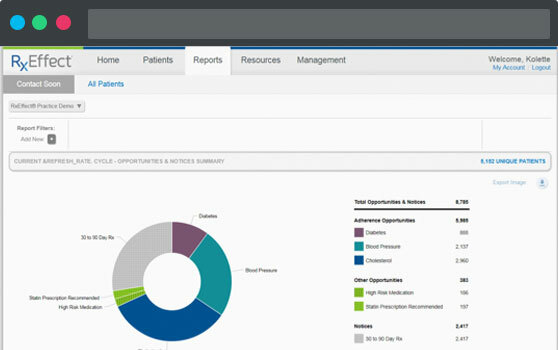 Understand which patients are high-priority for engagement in your provider practice, prioritized for outreach using the RxAnte Client Portal. 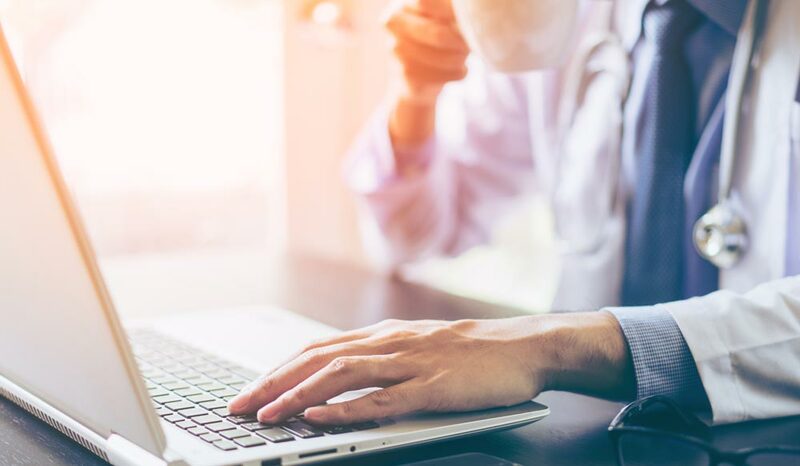 Access intuitive resources in RxEffect, including a prioritized list of patients that require outreach to ensure their medications are properly filled and taken. Using RxEffect, obtain easy-to-read reports that show your patients’ adherence opportunities and more. 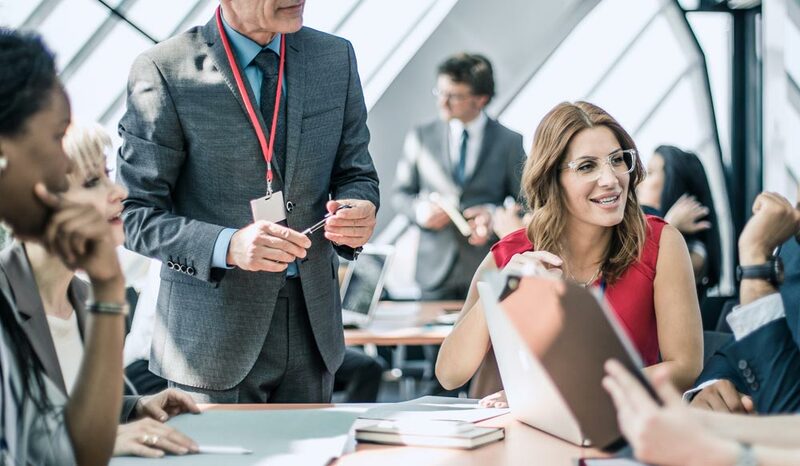 RxAnte offers solutions to manufacturers seeking to drive innovative contracting with real-world evidence to demonstrate the true value of medications.